It's taking longer than planned but already half of the new east stand has been opened by authorities. Next season Holstein Kiel will play with over 15,000 capacity, enough to meet Bundesliga conditions. Earlier today the open sale of tickets for FC Sankt Pauli game began in Kiel. 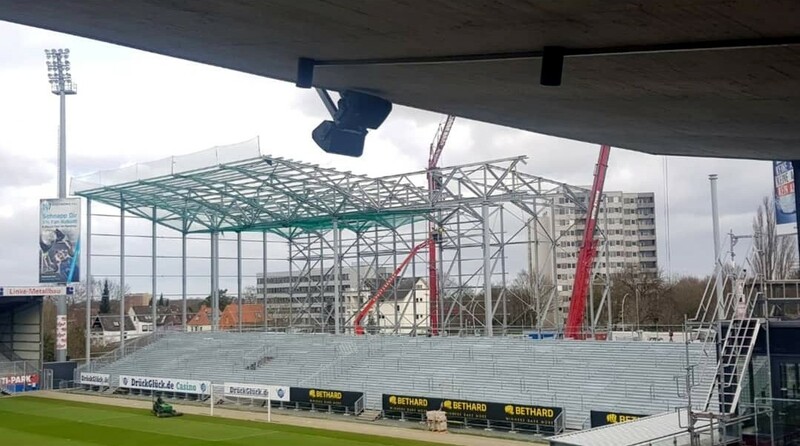 Holstein-Stadion will be slightly larger than it used to, because the police and fire department agreed to allow 3,500 people into the new east stand. While suffering from construction delays, mostly because of capricious weather, it's still arguably going well enough. Remember, in early January it was still uncertain who would erect the tubular grandstand. Today it's largely in place, though still waiting for the upper tier. With 3,500 standing places open to the public, it will still increase by 500 further standing places and 3,000 seats, all covered. The structure should be complete in May at the latest. 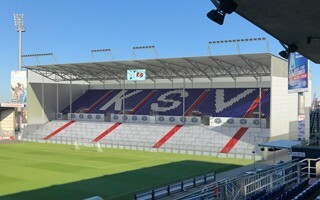 The Kiel stadium expansion is a compromise caused by impasse over construction of a permanent grandstand of similar size. When it had proven far too expensive, decision was made to build a much cheaper and more temporary tubular structure. 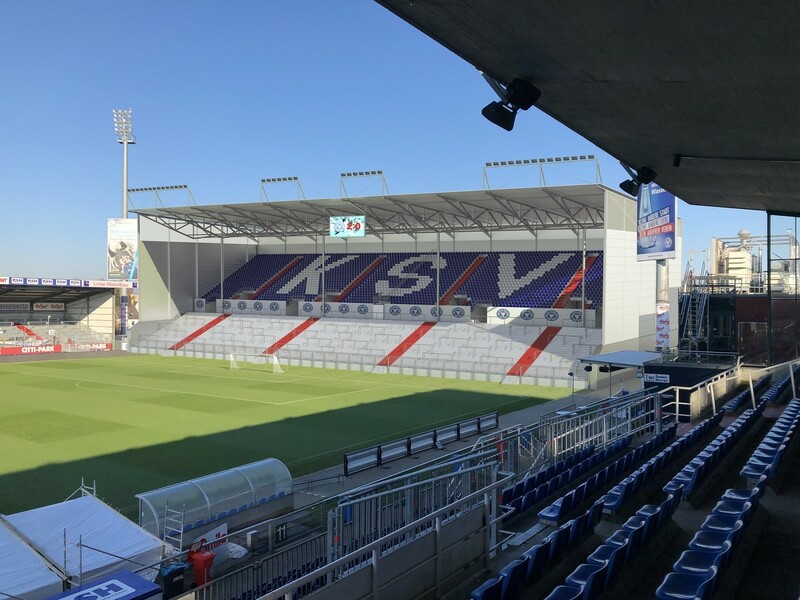 Once the €4 million investment is ready, Holstein Kiel will be able to hold 15,034 people at their stadium, just enough to meet DFL capacity requirements.